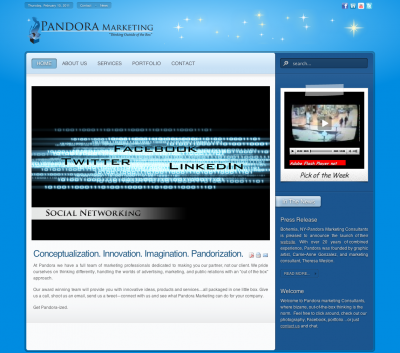 Pandora Marketing Consultants strive to bring a full range of professional marketing services to their clientele. 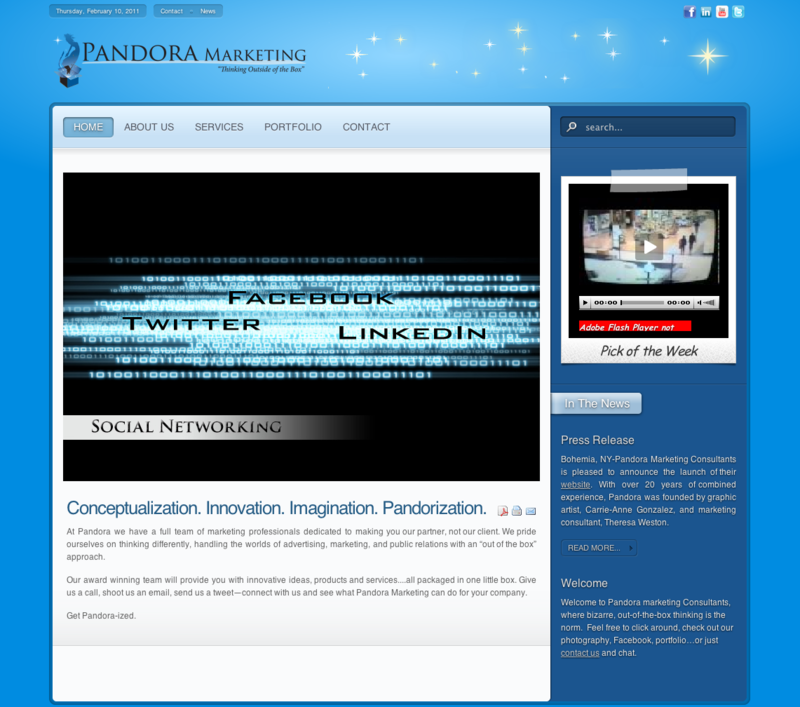 Pandora aims to provide quality service, guarantees work of the highest integrity, and prides itself on client satisfaction. Joomla! 1.5, Frontpage Slideshow, Captcha, Advanced Contacts with CAPTCHA, Videos, ZOO, Social Bookmarking and more. When my partner and I decided to start our own business, we had 30 pages of notes and outlines for a website. We had no idea what colors, what components, what imagery—really no idea what we wanted at all when we called WebVantage. Throughout the entire process, the staff at WebVantage were not only patient with the continuous re-writing and reformatting of our plan..but helped point us in a direction and provide feedback to help ease the process. Not only was WebVantage available to our every need,—they captured our vision and were able to convert it into a virtual reality on the web. I would recommend WebVantage to any organization looking to make their website an extended arm of their marketing plan, and for any organization looking for a high quality product at a great value.